AUSTIN, Texas – A new survey shows high rates of depression and anxiety among LGBTQ teens nationwide. Advocates say lawmakers could do more to ensure kids aren’t bullied based on their sexual orientation or gender identity. The Human Rights Campaign surveyed 12,000 kids age 13-17 who identify as LGBTQ. Ellen Kahn, director of the Children, Youth and Families program at the Human Rights Campaign, said more than 70 percent of teens surveyed reported feelings of worthlessness or hopelessness. And the majority had experienced verbal threats. The LGBTQ community has had some cultural milestones in recent years, including the legalization of gay marriage in 2015. But Kahn said discrimination and harassment still are common. 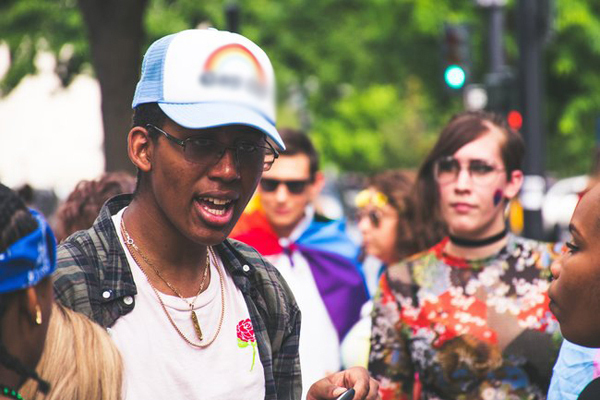 Earlier this month, a mob of young men reportedly chased and yelled slurs at a group of people who had been attending the Utah Pride Festival. More than 70 percent of respondents said they had been bullied at school because of their sexual orientation. Kahn said if lawmakers want to protect students, they should enact policies that specifically address anti-LGBTQ bullying and establish guidelines for inclusivity training for teachers and school staff. Nineteen states and the District of Columbia have enacted laws to protect students from bullying based on sexual orientation or gender identity. Kahn said many LGBTQ teens report that they are comfortable coming out to their peers. But, she said, more support from educators, policymakers and other adults could pave the way to improved emotional well-being for students.